Baby monitors are one of those little technological helpers you need — especially when you have to tear yourself away from your new bundle of joy. But (in an exhausted new parent haze) it’s all to easy to forget to turn on and transport the baby monitors all over the house. Offering convenience and streamlining the all too superfluous baby gear that bogs down the best of us, Sleekbit has come up with a new Android app called Dormi that can turn smartphones into mobile baby monitors. The Dormi app replaces a dedicated baby monitoring system by turning two Android smartphones into paired audio transmitters and receivers. Getting to use the app is just a matter of downloading it from the Play Store onto two compatible devices and turning it on. The baby monitor app can pair two devices over mobile data or just a regular Wi-Fi Internet connection, so it will even work with spare devices not on a phone plan. 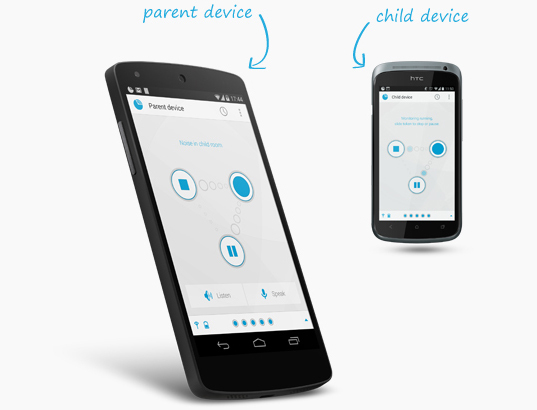 Once parents have activated the app on both devices, they can leave the transmitter with the child and it will auto-adjust the sensitivity of the microphone. 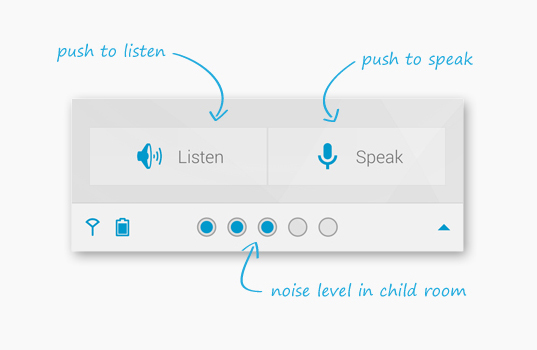 On top of hearing everything the child device picks up, parents can tap on the push-to-talk button to whisper to their babies from afar. The app will also notify users when their baby is crying even when the device is on standby (when the screen is locked) with vibrating notifications and a small beep. The app is free to download and may be used for up to four hours a month. Any more time with it and parents can buy a $0.99 monthly plan for unlimited use every month, $4.99 for an annual subscription, or own it forever for $6.99. Baby monitors are one of those little technological helpers you need -- especially when you have to tear yourself away from your new bundle of joy. But (in an exhausted new parent haze) it�s all to easy to forget to turn on and transport the baby monitors all over the house. Offering convenience and streamlining the all too superfluous baby gear that bogs down the best of us, Sleekbit has come up with a new Android app called Dormi that can turn smartphones into mobile baby monitors. The Dormi app replaces a dedicated baby monitoring system by turning two Android smartphones into paired audio transmitters and receivers.